When we think of car commercials, we think of sweeping pan shots of a country hillside with winding roads that are always wet, yet the sun is shining brightly without a cloud in the sky. A brand new car then makes its way down the road usually swerving out of the way of random objects to show its excellent handling. I could go on all day with the amount of clichés you find in just about every car commercial, but let’s not. Instead, I want to explore some newer ways of car advertising. I think one of the funniest car commercials I’d seen in a long time was the Kia Soul commercial where there are all these hamsters are stuck on the road in their running wheels not going anywhere and then out of the blue, a Kia Soul rolls up blasting some music with two hamsters inside dressed down and rockin’ out with sunglasses while tapping their paws on the door frame. Now, although the ad didn’t make me want to go buy a Soul (mainly because I had just bought a new car), it did accomplish something that’s probably more valuable: it made me remember what the product was. Now, on to the orange puppet! His name is Doug and the current ad campaign has him hanging out with John, a Ford employee set out in the Los Angeles area to promote the new 2012 Ford Focus. There are two sides to this campaign—the first being the promotional side where they discuss and showcase the car’s features and the second being the comedic banter between the two. In today’s world, the younger generation is continuing to drive market places and essentially change the face of advertising. While I grew up watching McDonald’s commercials with perfectly designed food products, today’s kids are growing up with Dominos showing home-grown photos of actual pizzas delivered to their customers—the not-so-great looking ones included. It’s the generation that is Internet-based and socially driven. They practically do everything online from sharing videos, discussing trending topics and communicating in almost every way. It’s no wonder why Ford has chosen this forum to broadcast Doug to the masses. Just a few years ago, every major company was flashing their “dotCOM” all over the place in hopes that you’d come to their website. Now, everywhere you look is a Facebook or Twitter link with phrases like “Like us on Facebook” and “Follow us on Twitter”. The idea is simple. Rather than try and get people to remember your website, all you need to do is send them to a site they are already on and interact with you there. At this point, you can create fun little games, phone applications, interactive surveys and more. Users like this because they’re already on Facebook and more importantly, they know how it works. With new ad campaigns coming out featuring a more toned-down appearance and showing that large companies have a sense of humor about their own products, it’s easy to see who they’re marketing to. Whether you like or not, websites and services like Facebook and Twitter are here to stay and social media will slowly become the new form of advertising and promotions. While some people call these ads gimmicks, I actually find them to be smart. If we look back into history, there have been a lot of “gimmicky” characters out there: Disney has Mickey, Dominos had the Noid, Geico has the Gecko and the Cavemen, McDonald’s has Ronald. No matter what your feelings are on these mascots, the point is that they make you remember the products they’re pushing. A new survey from Google shows that more and more people are opting to use their tablet devices, with most of them being iPads, over traditional media streams like listening to the radio or watching broadcast tv. This is happening just now?! I can’t remember the last time I listened to the radio! The survey points out that more than half of the people questioned said they use their iPad more than listening to the radio and just about 25% of them use an iPad more than a computer. Finally, a third of these individuals stated they use iPad more than they watch tv. Because the iPad is so versatile, people can now use one device to access the Internet, watch videos, stream movies and tv shows, read newspapers and magazines, listen to music and play games. Of course cable and satellite providers have made honest attempts at keeping you on your television by offering on-demand content, DVR services, music channels, downloadable content, HD content, 3D content, free movies, etc., but without a tv capable of handling some of these things, you’re kind of up a creek. Since the iPad is an Apple product, I doubt Steve Jobs cares that one of his own products is cannibalizing another market, but I know he figures he might as well have a piece of that pie too. Before he retires, Steve Jobs plans to “revolutionize” the living room. 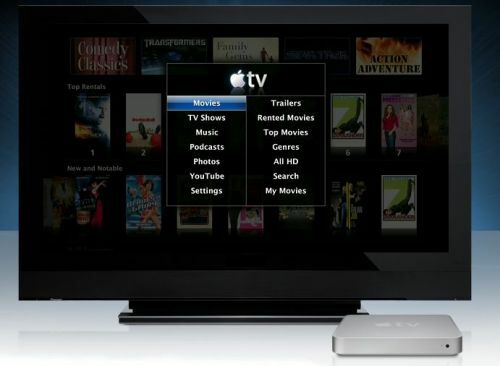 The Apple TV has been an interesting, yet vastly overlooked product since its inception. Originally called iTV (how original), the Apple TV began shipping in 2007 and has seen one major upgrade in 2010. However, nobody is really talking about it. Is it possible that not everything Apple touches turns to gold? In light of this new survey, one could wonder what the future of Apple TV will be. If you actually take the time to look at the device, it really is pretty cool. You can stream purchases of videos, movies and music right from your iTunes account, access Netflix, NBA tv, YouTube and display slideshows from Flickr photo albums. Man is at work with 2 minutes left to go, watching a Netflix movie on his Macbook. Man walks in the door, turns on tv and continues streaming same movie. Man grabs iPad because he has to go to the bathroom and doesn’t want to pause the movie. Man’s iPad battery dies, he gets upset and breaks iPad. Man gets even more upset, breaks Macbook and tv. Wife says she’s leaving because husband is to “connected” to technology. Man is sad and lonely because Apple Care won’t cover physical damage. On a serious note, if anyone makes that script into a YouTube video, I want credit! Of course the above example is a huge exaggeration, but the questions are pretty clear. Do we really need all this stuff? Do we really want everything to be so connected that we become so dependent on them? What I would like to see is a way for consumers to pay much smaller fees for tv service. If Apple plans to cloud up the living room with more on-demand tv choices like those you can get from Hulu, then I hope the cable companies respond by allowing customers to only pay for channels they wish to receive. At the rate all this is going, I’m sure it won’t be much longer before network television simply allows you to subscribe to your favorite shows rather than paying to have the whole channel. I found this video on a friend’s blog and I just had to repost. Sometimes I’m just amazed at some of the stuff the Internet brings us. I always ask myself when I watch things like this if people have always been doing creative things like this before sites like YouTube, Twitter, Facebook, etc. If not, then can hold the Internet responsible for extended our creativity and if so, is all this stuff really talent or just creative ways to waste time? I can’t really say for sure because I’ve been on the Internet for many years and I can say that I haven’t become more creative! I just watched the first episode of this year’s season and I always ask myself why this show is still so popular? I mean, doesn’t having a new idol each year diminish the value of the previous one just a bit more? What ever happened to musicians becoming big and famous naturally rather than fast forwarded to the forefront only to be quickly replaced and forgotten year after year? At least the Olympics let their winners keep their glory for four years! Anyway, the point to this was really to say that I never really watch the show in it’s entirety. I just watch the auditions because I find it funny when people who have no talent actually think they do. Also, they always throw in those touching stories that sometimes bring your own life into perspective and make you realize that no matter what your problems are, there’s always someone who has something worse going on. No matter how many stories from American Idol I watch, none compare to that of Sherman Pore. I’ll never forget how this 64-yr old man got a petition signed by over 350 people and then got an exception approved for his appearance on the show due to the current age limit of 28. Here’s the video and if you want to read more on this story and what happened afterward, this blog entry has it all. By the way, Sherman made an album shortly after his American Idol audition which can be found at Amazon. I wanted to summarize the aforementioned blog in case you don’t want to read the whole thing! Sherman Pore had been told by many people that he had a great singing talent and that he should do something with it. Out of modesty or lack of self-confidence, he didn’t pursue it. Then, people started telling him he should try out for American Idol and of course were astonished at the age limit of 28 for the show. When these people agreed that this was unfair, Sherman asked them if they’d sign a petition saying so. Sherman’s “lady love” of 20 years had come down with cancer and this little project of obtaining the petition was something shared by the two all the way to her final days. 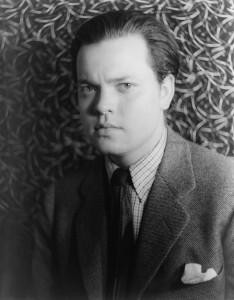 When Sherman got to the audition, he mentioned that having met his goal of getting on the show had eased his love’s passing and “made it a little softer”. He explained to the panel of judges (along with guest judge Olivia Newton John) that his lady love had passed on Friday. This was two days before the audition and he wanted to sing her a song. He began with “You Belong To Me” and blew it away! He brought Paula to tears and even received a personal comment from Simon, saying he was a class act. Simon then asked him to come over and shake his hand. Paula and Olivia hugged him and you can just feel the emotion in the air. Watch the video to see. Since YouTube has yet to index my video, I’m posting a link here for you to enjoy. So the story behind this video montage is simple. All my friends usually ask me why I’m such an Elvis fan and I really never know how to explain it. I generally ramble on about how the first compact disc I ever heard was an Elvis cd and how I was introduced to his legendary life by way of books from the library when I was younger, but I never really capture the essence of what it is. I decided to compile a series of clips that I think really captures this essence so when anyone asks this question again, I can just show them the video. With that said, check and out and let me know what you think. If the video disappears from YouTube, I’ll try and repost it here directly. Also, stay tuned for other vids I may post because I have a lot of ideas in my head. One of the funniest thing I ever saw from the old Tonight Show clips was when Bob Newhart guest hosted on December 13th, 1976. He had Don Rickles on as a guest and during one of his jokes, he was using Johnny’s cirgarette box as a stamp and when he slammed it on the desk, he broke the lid! Johnny comes back the next night and finds the broken box and decides to raid Don’s live taping of his tv show C.P.O. Sharkey! This clip just goes to show how Johnny Carson was bigger than anybody and he could do whatever he wanted. I really loved this clip of Jimmy Stewart on Johnny Carson back in 1981. For those of you who aren’t aware, Jimmy Stewart was an avid poetry writer and for this occasion, he wrote a poem about his dog Beau that had just recently died. It starts out pretty funny, but then gets a serious overlay as you can hear him start referring to Beau in a past tense. Jimmy then gets fairly emotional at the end and even gets Johnny a little teary. He never came to me when I would call unless I had a tennis ball–or he felt like it. But mostly, he didn’t come at all. When he was young, he never learned to heel, or sit, or stay–he did things his way. He’d dig up a rose bush just to spite me and when I’d grab him, he’d turn bite me. He bit lots of folks from day to day–the delivery boy was his favorite prey. The gas man wouldn’t read our meter. He said we owned a real man-eater. He set the house on fire, but the story’s long to tell. Suffice to say that he survived and the house survived as well. The old one and I brought up the rear because our bones were sore. And he’d charge up the street with mom hanging on–what a beautiful pair they were. And if it was still light and the tourists were out, they created a bit of a stir. But every once in a while, he’d stop in his tracks and with a frown on his face, look around. It was just to make sure that the old one was there to follow him where he was bound. And as I’d leave the room, he’d look at me and get up from his place by the fire. But before very long, he’d tire the ball and he’d be asleep in his corner in no time at all. And there were nights when I’d feel him climb upon our bed and lie between us and I’d pat his head. And I’d reach out to stroke his hair and sometimes I’d feel him sigh and I think I know the reason why. Of the dark, of life, of lots of things and he’d be glad to have me near. And there are nights when I think I feel him climb upon our bed and lie between us and I pat his head. Oh how I wish that wasn’t so, I’ll always love a dog named Beau.